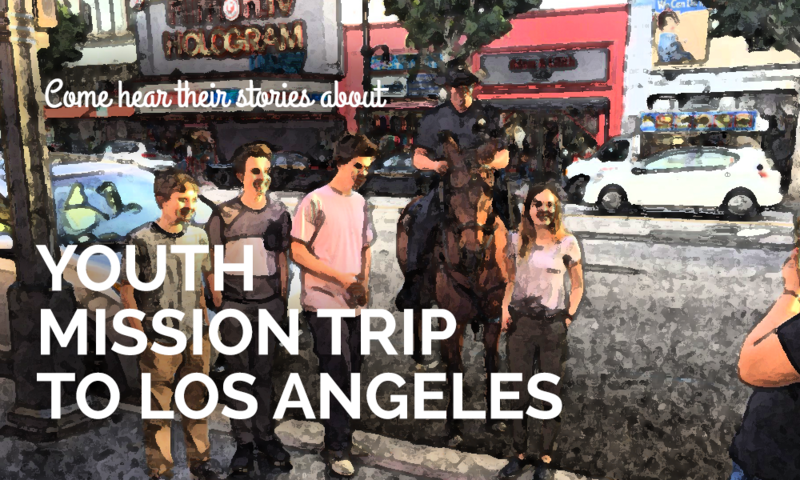 The youth are offering an evening to hear about their mission trip to Los Angeles. All ages are welcome to attend this inspiring evening. We will be meeting at Aliso Viejo Campus in the Hangar Youth Room. Come and enjoy dinner and the program.